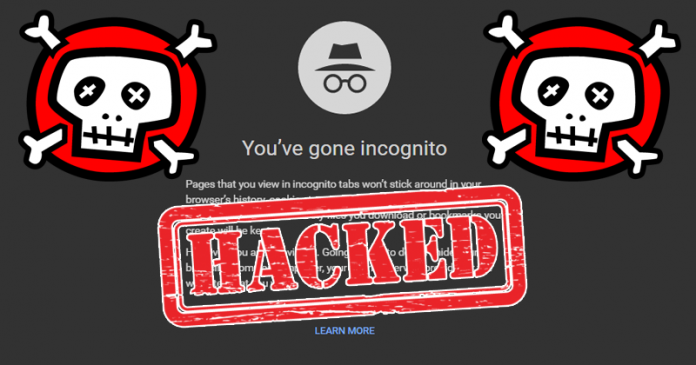 When you navigate in incognito mode you can think that you are doing it totally privately, anonymously and securely, but it is not. We already know that this form of navigation does not meet all three requirements, but what we did not know is that even in Incognito Mode your search history is still available. This has been stated by German researchers in a conference on hacking, Svea Eckert, and Andreas Dewes. According to them, they have been able to access the records of judges, politicians and other personalities. How did they get it? Thanks to browser extensions like Google Chrome, they constantly collect private data from their users. The web pages you visit are still available even in Incognito. This violates any privacy regulations of the European Union, although the developers of such extensions seem to overlook this point. They collect data from their users, starting with the history with all the pages they access. The two researchers in the study believe that you can even know the name of the user. The secret is that among all the websites you have visited there is almost certainly a link to your profile on Twitter, Facebook or LinkedIn. The practice of gathering or purchasing data and metadata of all types of users is known as Data Mining. It helps brands to get an idea of the trends, tastes, and preferences of their potential consumers. So they can offer promotions or personalized advertising and much more effective ads & promotional offers. However, between collecting data with the knowledge of its users and spying on them when navigating in Incognito Mode there is a very clear line. This line has already been delimited by a series of laws that are apparently violated consistently. It will be necessary to see if the EU itself takes legal measures or if the espionage is maintained. Next story Is The Taj Mahal a Mausoleum or a Shiva Temple? These 5 changes are going to happen in the new year, how will you affect yourself?